Are you Web 2.0 Savvy? Much of our knowledge today comes from the internet. 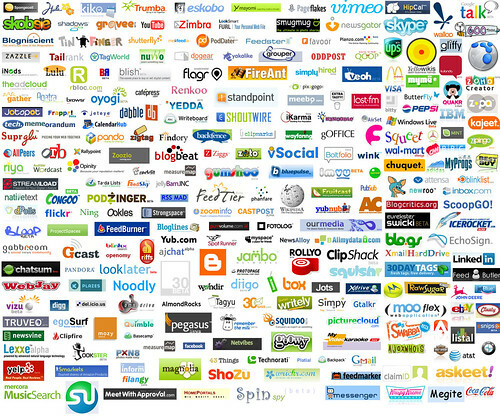 However, people are using the vast internet technologies to do more than just surf the web as they did in years past. They are now actively interacting with the information and participants they find in cyberspace. People are now congregating on social networking sites and using technologies that were once thought to be years, even decades, away from realization. The world is becoming more flat, and technology is leading the charge in connecting people and organizations. Web. 2.0 is no longer an emerging phenomenon—it is fully upon us and must be utilized, even embraced, to leverage the positive impact it can have on brands and brand awareness. Are you fully invested in the online phenomenon that is happening around you? Are you using it the best way you can in business applications? Test yourself by answering the questions below. If you scored 70% or higher, congratulations! If you scored 50% or 60%, your knowledge of Web 2.0 tools is average, but could be improved. If you scored any lower . . . The questions you just answered are just a few of the basic things you can do with current web technologies; even if you scored 100%, you are just scratching the surface. If you don’t understand any of these terms or concepts or have interest in learning more about Web 2.0, give Fluid Studio a call at 801.295.9820. We can help you navigate through the sometimes murky waters of Web 2.0 and create a strategy that is effective for your needs!